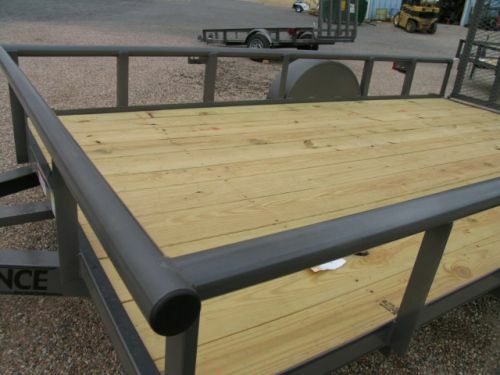 We just received a new shipment of truckbeds made by Temco Manufacturing here in Colorado. They are for the economy-minded customer, but are heavy-duty and are made to work! More pictures after the jump. 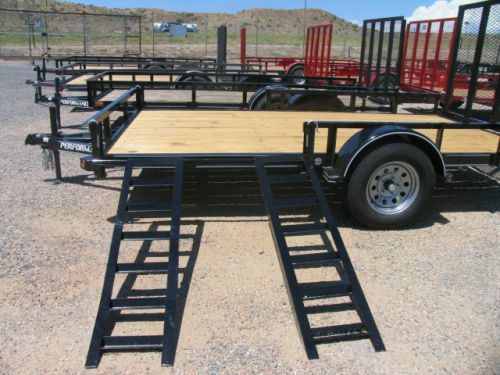 We just received a new shipment of truckbeds made by Temco Manufacturing here in Colorado. They are for the economy-minded customer, but are heavy-duty and are made to work! We know that our website has been hit or miss lately, and more miss than hit actually. We have been busy working on a new format as well as a new content management system. We would like to announce that we have completed the new content management system and now have something to show you! We'll tell you more after the jump, so keep reading! We would like to announce that we have completed the new content management system and now have something to show you! We will now be able to post regular articles to our site and keep our readers more up-to-date with articles on trailers we have for sale, new products, how-to guides. and more! We are very excited about it, and hope you feel the same way! In addition, we have implemented the ability for our readers to comment on articles we've written. So now you have a voice to express your thoughts on the subject at hand. We are hoping that all of these changes will make our corner of the Internet more accessible, informative and helpful to our readers. We are still refining and add features, so please bear with us as we continue to complete our remodeling! In the meantime, don't forget that you can still view our entire current inventory of trailers in stock! Thank you for dropping by and stay posted for more! 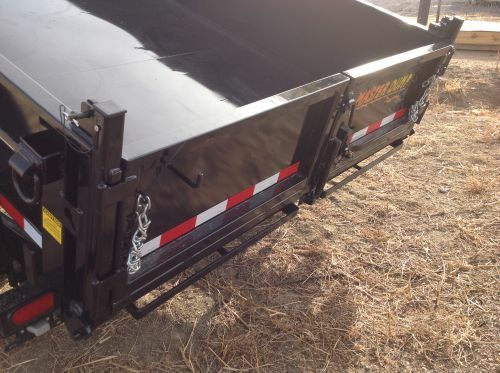 As many of you may know, we have been selling and installing B&W Turnover Ball gooseneck hitches for many years now. Indeed, we continue to sell B&W products and will do so for many years to come. At the moment, unfortunately, there is no provision for folks to order these hitches online from our website. However, we still have them available! After the jump, we'll explain which new ones are available, and how to you can still get the best price around for these hitches. We routinely send these hitches out because of word-of-mouth advertising, and because we have a great following of loyal customers. If you are still looking for a great price on these hitches and fast shipping, please keep us in mind for your next order. This model year, B&W has had to manufacture some new models for the updated trucks. For example, there is a new hitch for Ford trucks, the BW1111. For Chevrolet/GMC owners, you may need the new BW1011 or BW1007. And if you sport a Dodge pickup, either the new BW1310 or BW1309 is what you will need. 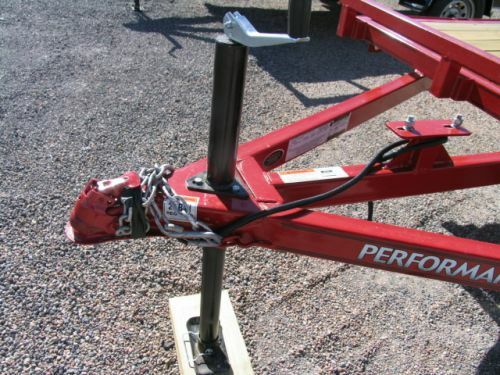 Just give us a call at 800-441-5250 for help in answering any questions you may have as to which hitch is the one for you. As always, we offer professional installation as well. If your truck does not have a factory-installed brake control, or you have an older truck that needs one, we offer walk-in installation services for most trucks, and we always have a good selection in stock. We also install in-bed trailer plugs, so keep us in mind for that. And, for a limited time, mention this article, and we'll give you 10% off of the labor for your hitch, wiring, or brake control installation! We are proud to now be a Sundowner Trailers dealer! We've actually been selling these trailers for a few months now, but hadn't made an official announcement to the public. We've received a good response to them, have sold a few, and look forward to helping fill a hole in our area where there seems to be a scarcity for good aluminum horse and stock trailers. Hit the link for more information as well as a few links to some of the stock we have on hand. We are proud to now be a Sundowner Trailers dealer! We've actually been selling these trailers for a few months now, but didn't have an opportunity to make an official announcement to the public until now. 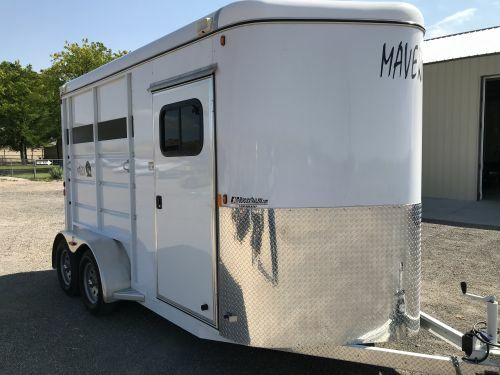 We've received a good response to them, have sold a few, and look forward to helping fill a hole in our area where there seems to be a scarcity for good aluminum horse and stock trailers at good prices. 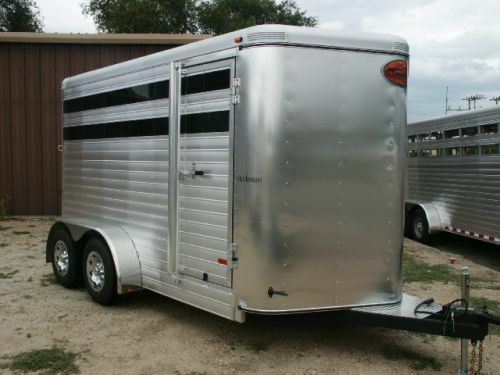 Some of you may remember that we tried our hand at selling Cherokee Aluminum horse and stock trailers in the past. 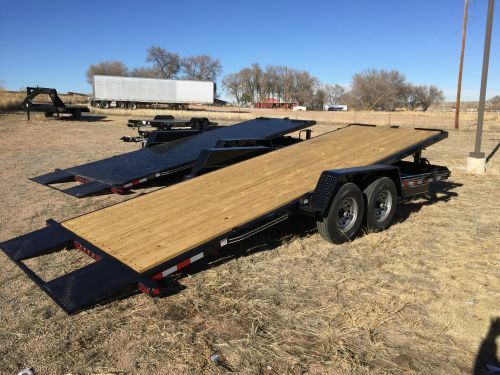 While we felt (and still feel, actually) that those were good trailers, our area here in Southern and Central Colorado couldn't quite withstand the price point of those trailers. However, the Sundowners are at a much better price point, and are of a quality that rivals anything out there. You should come take a look! I think you would agree with us. 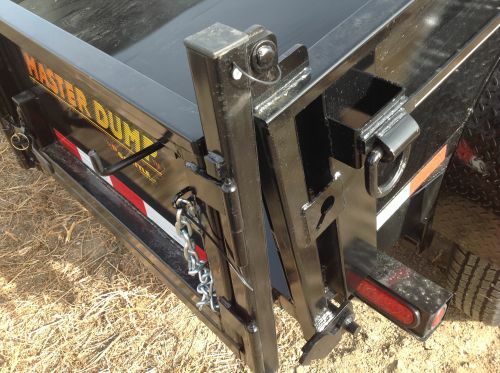 For example, here's a 7ft X 14ft Stock Combo bumper-pull from Sundowner. This picture was taken at our Fowler location, but it now resides at our Pueblo dealership. You can view more photos as well as pricing information here. 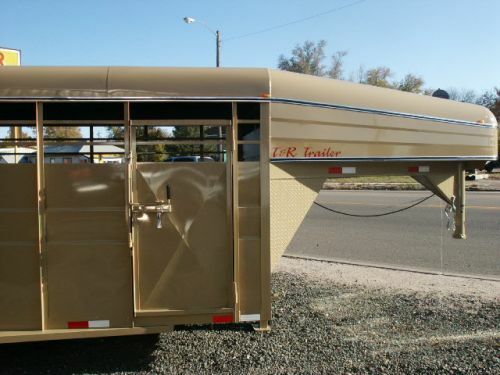 This trailer is a Sundowner 7ft X 20ft 4-Horse Slant Rancher Special gooseneck. It is also at our Pueblo shop. Read more about it and see more pics here. These are the two we have in stock at the moment, but we plan on moving more in our dealerships as we feel out the market for these trailers. Thanks for reading, and let us know if you have any questions! We started building the Pulmor trailer series a few years ago, and it has really taken off. In fact, the sales of our Pulmor trailers accounted for the bulk of our trailer sales for the 2010 model year, with the only competition coming from the sale of our ATV trailers. We have been shipping these trailers all over the country, and some folks have found some imaginative uses for them. Follow the link to learn more about the Pulmor trailers, and see some things you can do with it. We started building the Pulmor trailer series a few years ago, and it has really taken off. In fact, the sales of our Pulmor trailers accounted for the bulk of our trailer sales for the 2010 model year, with the only competition coming from the sale of our ATV trailers. We have been shipping these trailers all over the country, and some folks have found some imaginative uses for them. 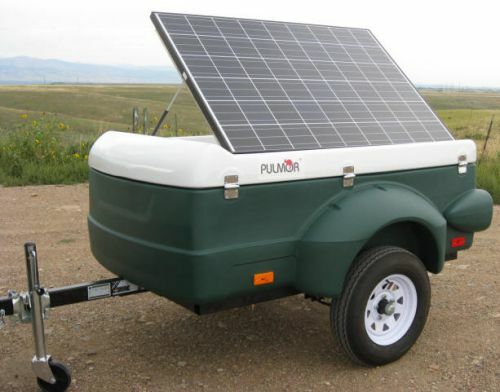 For example, a reseller of ours located in Omaha, NE, noticed a market for these trailers equipped with solar panels and a bank of batteries. 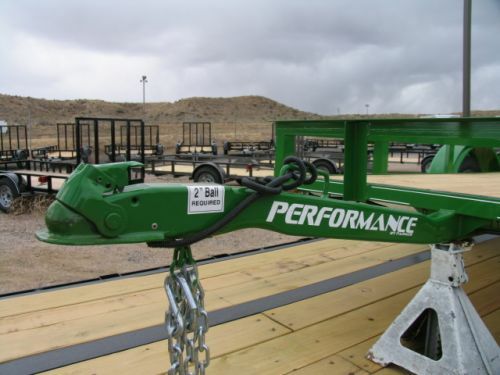 The trailers are being used as power centers for contruction sites to provide a renewable energy source and make the construction process more "green". Cool, no? From what we understand, these units can last a day or more on a single charge, powering any 120VAC tool you can throw at them. We think it's a great innovation using one of our trailers, and you can contact us if you would like to learn more about it. If you are from the Mid-West or out East and would like to see about getting your hands on one, follow this link and talk to Jim. Let him know you learned about it from T&R! It's strong, light, and can carry quite a bit of weight. Our president and chief builder Richard actually stood on this and jumped up and down. (That's our idea of advanced testing proceedures.) We found that these racks can support well over 180lbs, which is more than enough weight handling for most folks. Strap bikes to it, canoes, rafts, small aluminum boats, kayaks, really anything you can lift onto the lid, and the Pulmor will handle it well. The point is these trailers are extremely versatile and can suit any number of different uses, from construction to recreation to anything in between. I've personally sold a number of these to traveling salesmen who use them to contain their wares. We'd sure like to see what you can do with it! Thanks for reading, and for more information as well as availability, you can always send us an email or call. 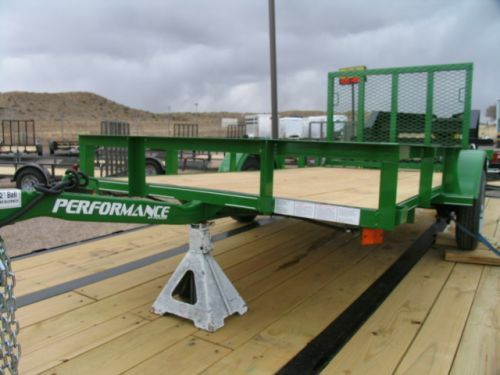 Today we just received a new shipment of trailers from Performance, our main supplier of ATV and utility flatbed trailers. It was only 9 degrees outside with 4in. of fresh snow, but trailers wouldn't unload themselves. It took about 5 hours, but we got it done. Thanks to the Performance driver for his help in getting these off the trailer! Click the read link to read about what we now have available. 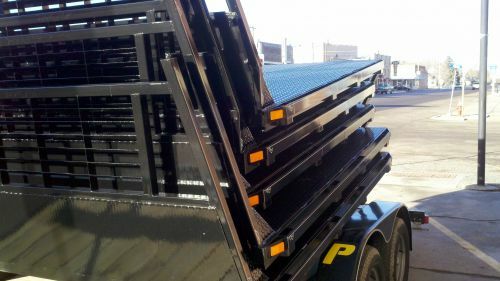 Today we just received a new shipment of trailers from Performance, our main supplier of ATV and utility flatbed trailers. It was only 9 degrees outside with 4in. of fresh snow, but trailers wouldn't unload themselves. It took about 5 hours, but we got it done. Thanks to the Performance driver for his help in getting these off the trailer! We now have a great selection of trailers just in time for Spring! It may be a little early, but we didn't want to miss the start of the ATVing season. Last year, we didn't get our shipment of trailers till late Spring, early Summer, so this year we wanted to be ready. These are all 2011 models, and feature a powder coat finish, genuine Dexter axles, treated floors and solid construction. 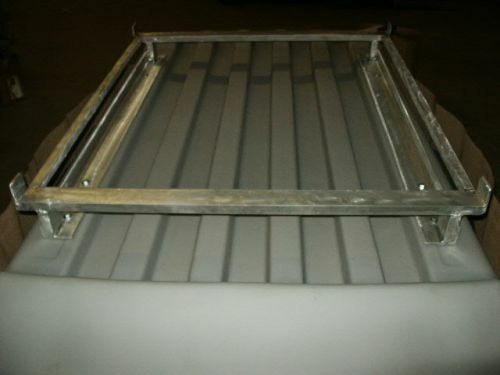 Another nice feature of the ATV models is that the ramp gate, while removable, will fold down into the bed of the trailer. This eliminates the need to take it off. If you have to carry something that is longer than the trailer, just lower the gate into the bed and off you go. 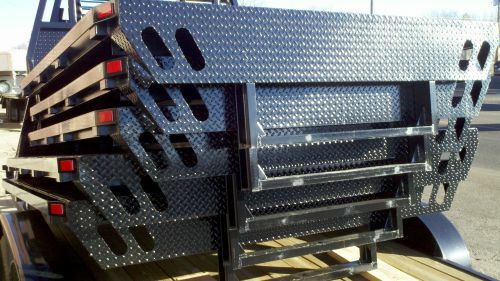 We recently received a large order of new trailers, and now have pictures uploaded for all of them. Amazingly, we've already sold a large portion of them, but still have a pretty good selection in stock. 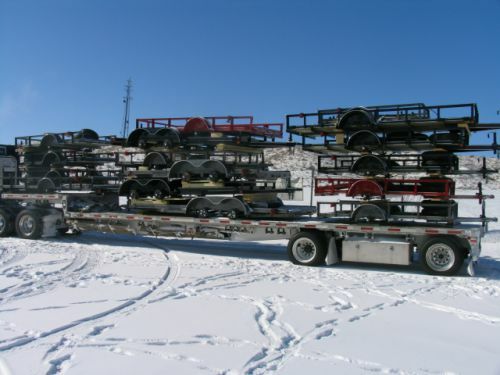 5X10 flatbeds seem to be the hot sellers right now, but we have sizes ranging from 5X8 on up to 7X14 for atv/utility flatbeds in varying widths. We recently received a large order of new trailers, and now have pictures uploaded for all of them. Amazingly, we've already sold a large portion of them, but still have a pretty good selection in stock. 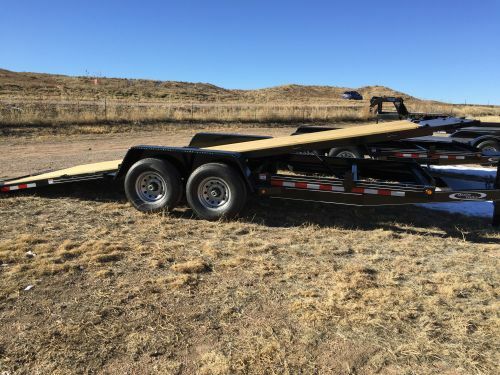 5X10 flatbeds seem to be the hot sellers right now, but we have sizes ranging from 5X8 on up to 7X14 for atv/utility flatbeds in varying widths. We are already looking at sending in our second order of the season, so we'll have many more arriving soon. Hit up the comments section to tell us what you would like to see us sell. Not stocking the trailer you want? Let us know! That brings us to the other bit of news we have today: commenting is now available on all our articles. We'd love to hear what you think about our site, our trailers, anything for that matter. We look forward to the added depth this will provide to our site. Thanks for reading! Updated: This trailer is sold. 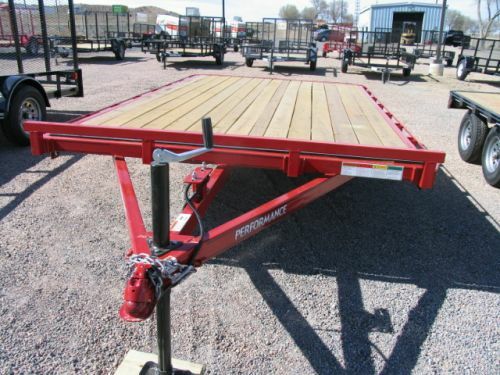 Check in often for more trailer deals of the week! We would like to announce a new feature to our website! It is called Trailer Deal of the Week, and will feature a different trailer each week at a discounted price! The picture kind of gives it away, but head past the break to learn about our first offering. 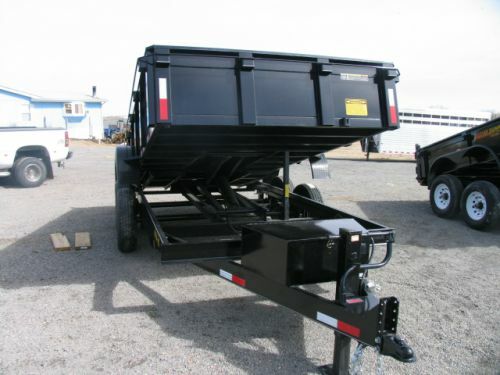 Our first Trailer Deal of the Week is a New 2010 Performance Deckover 7'X12' ATV trailer (stock #1374). Regular price is $1749.00. Our offer is $1625.00 plus tax! 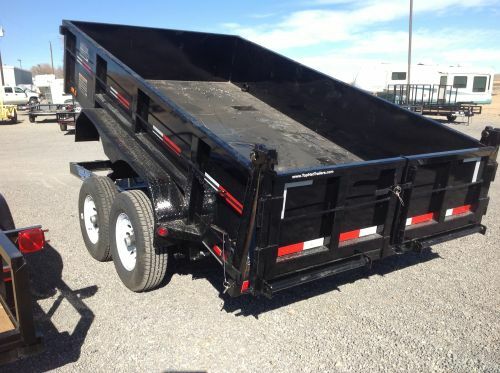 Trailer is located in our Pueblo lot (call Nathan @ 719.546.2321). 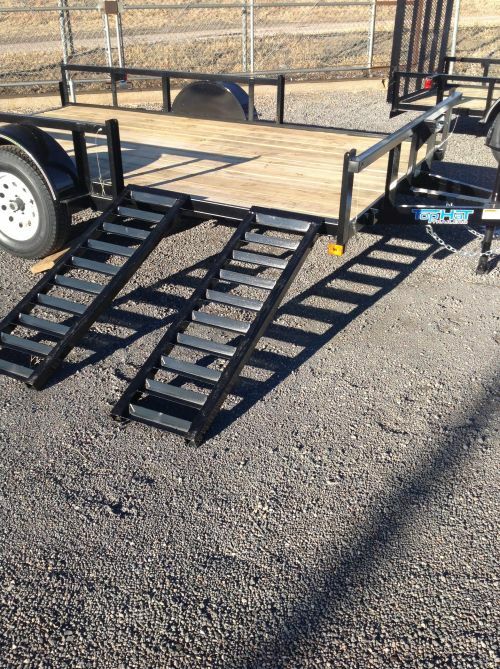 This trailer is made specifically for ATVs, side-by-sides and the like. It can be loaded from any side, and can easily carry 3 large machines, or 4 small ones. It has a rating of 4,000lbs with two axles. Axles are made by Dexter (the best!). Ramps slide in the rear. You can view more information and correspond with us via email here. EDIT: This truck has been sold! Thanks for looking. From time to time we receive a car or truck or other vehicle that folks want to sell. The nice thing about being a trailer dealer is that we can sell motor vehicles too! Check out this clean 1996 Dodge half-ton. Hit the link to see a few more pics and read about the truck's features. Doesn't leak any oil and runs great. Would make someone a great run-around truck. Good for pulling too. Other trucks wish they were as nice! Come on by for a test drive, or call us @ 719.546.2321 to learn more about it. 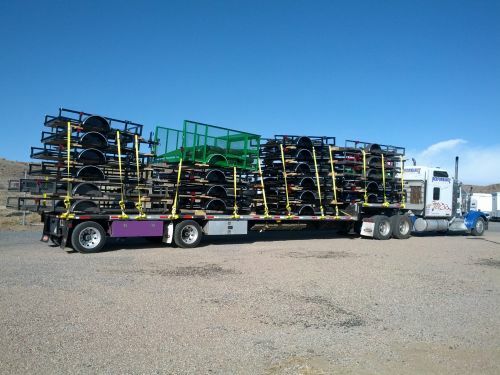 We just received a huge order of more ATV and utility trailers, as well as some car haulers. Our 16' car haulers have been very popular, and we have just a few left. However, we are quite flush with smaller ATV and Utility trailers ranging in size from 5X8 on up to 7X14, all in a single axle configuration. Come in and take a look. Our prices are very hard to beat and we offer service after the sale, something you don't find just anywhere. In addition, our entire inventory of trailers is online and ready for you to browse. Don't forget that you can also inquire about our trailers or make us on offer on one right from our site. To take a look at our new Performance Trailer inventory, you can click here. Thanks for looking and we hope to see you around! EDIT: This trailer's been sold! Thanks for looking. 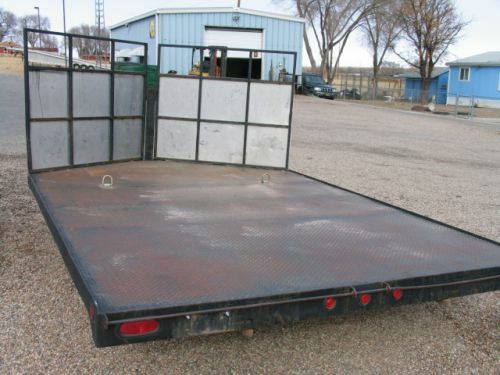 Just received a nice used 2008 7X16 Carry On cargo trailer. Customer needs something larger, so he brought us this trailer to sell. Very reasonably priced and in very good condition. Read on past the break to see more pictures and read about it's features. EDIT: This trailer's been sold! Thank you for looking. 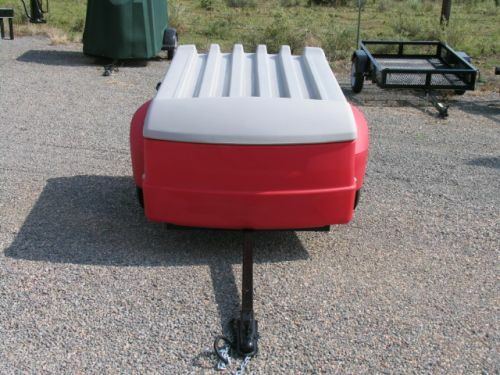 Just received a nice used 2008 7X16 Carry On cargo trailer. Customer needs something larger, so he brought us this trailer to sell. Very reasonably priced and in very good condition. This trailer was used to haul a Corvette, so the first thing you notice inside the trailer is the tire tracks on the floor. However, the trailer is in amazing condition and it's clear the owner took care of it. 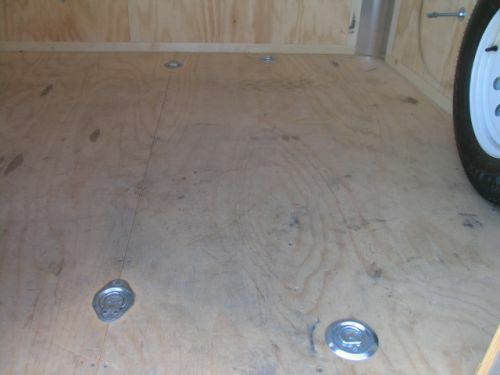 Tie downs have been added to the floor, in addition to the factory-installed tie downs that originally came with the trailer. 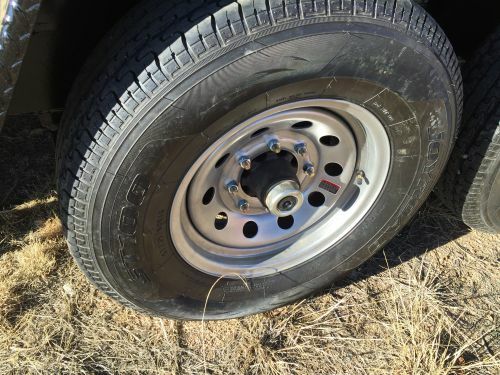 The tires are in 80% condition, including a never used spare mounted in the inside front wall. 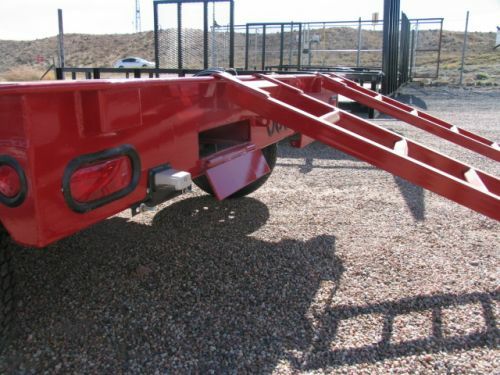 To read full specs and view more pictures, go to the trailer listing in our trailers section. Here's a few more pictures in the meantime. Thanks for looking! As always, feel free to contact us for more information. Update: This trailer is gone! Thank you to all who showed interest in this trailer! We have in stock a nice used 2000 Nissan Frontier V6 4WD. Was used as a work truck, but we won't hold that against it. Included with the truck is a topper with three tilt-up windows (rear and left/right sides) as well as a ladder/pipe rack on top. Come in and make us an offer! No reasonable offers refused! As always, you can contact us by email or telephone. Thanks for looking! A few weeks ago, we received another load of trailers. 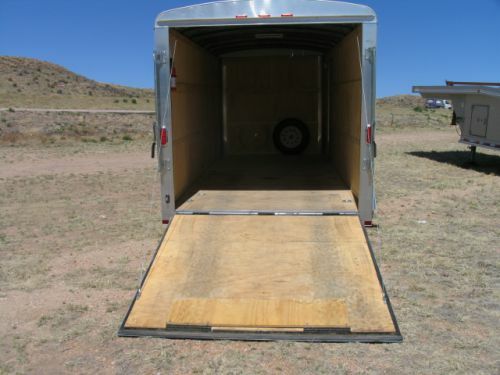 Included among the usual models we order are a few side-load trailers like the one shown above. 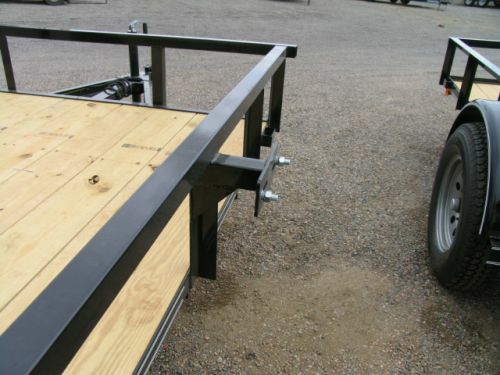 These trailers allow you to load your ATV or motorcycles from either side. Ramps stow inline with the side rails, making these trailers very handy indeed. Head past the break to find out more about about our recent shipment. A few weeks ago, we received another load of trailers. 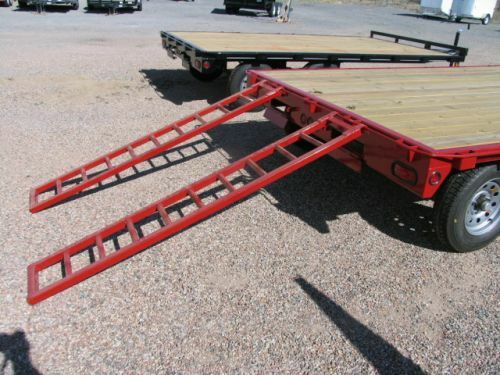 Included among the usual models we order are a few side-load trailers like the one shown above. 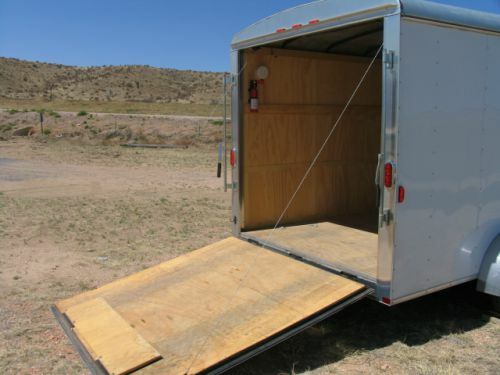 These trailers allow you to load your ATV or motorcycles from either side. Ramps stow inline with the side rails, making these trailers very handy indeed. 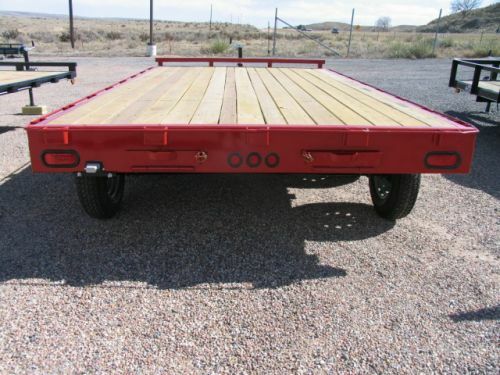 We also received a number of low-cost, high-quality 16ft car hauler trailers. These have been a very popular trailer for us, and come in at a price that is very hard to beat. With brakes on both axles, a treated wood floor and powder coat finish, these car haulers represent a great value. 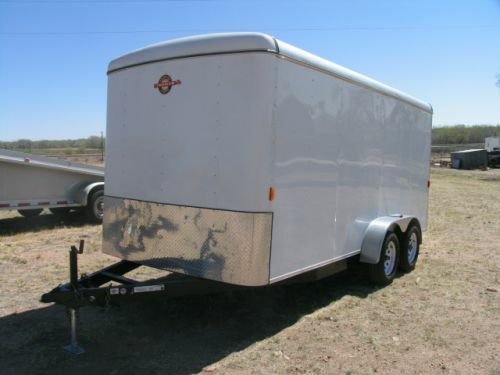 Along with these trailers, we received our usual compliment of smaller ATV trailers. Come on down and take a look! EDIT: This trailer's been sold! Thanks for looking! 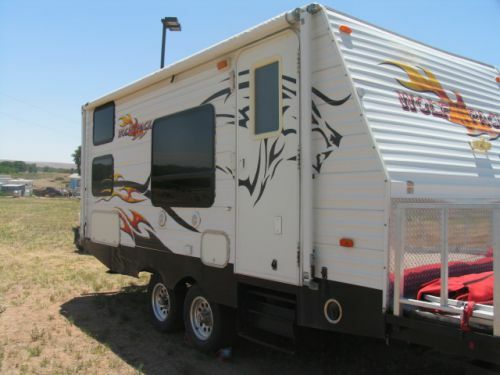 We have a really nice used 2007 Cherokee "Wolf Pack" Edition RV trailer by Forest River, Inc. This is a unique trailer, one that the whole family can really enjoy! Features include room for 6, an ATV/Motorcycle platform with wrap-around tent enclosure, and a built-in fuel station. Hit the link for more pics and features! 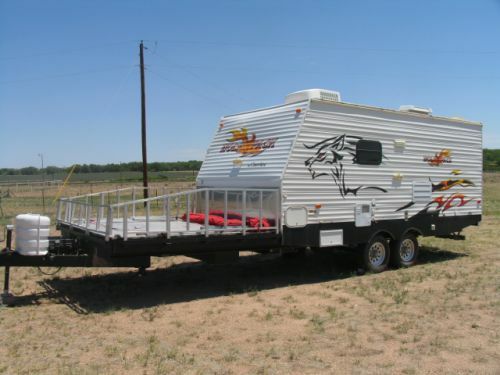 We have a really nice used 2007 Cherokee "Wolf Pack" Edition RV trailer by Forest River, Inc. This is a unique trailer, one that the whole family can really enjoy! Features include room for 6, an ATV/Motorcycle platform with wrap-around tent enclosure, and a built-in fuel station. Electric start furnace and water heater - just flip a switch and you're done! Thanks for looking, and we hope to see you 'round. UPDATE Dec. 2. 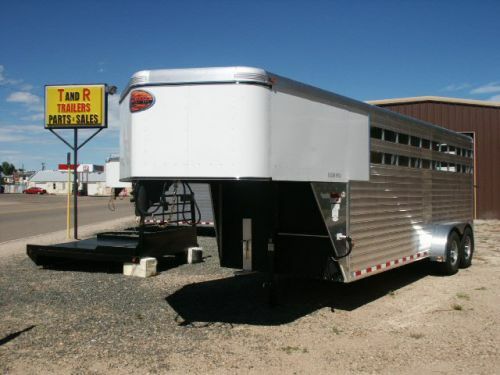 2011: We just sold this trailer! Thanks to everyone who expressed interest and came by to have a look! 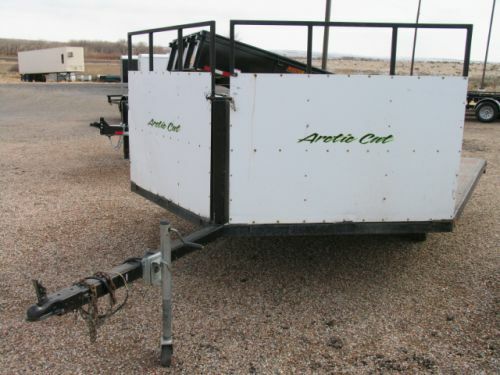 We just reduced the price on this Cherokee Wolf Pack trailer. For $13,500, you get the tailer with the generator included. Of course, tax will be extra, but what a great deal! 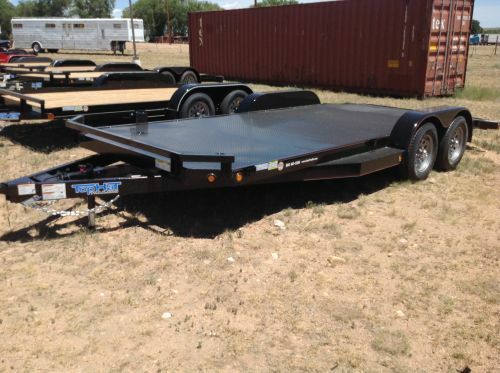 The NADA value for this trailer is an average of $15,200.00. 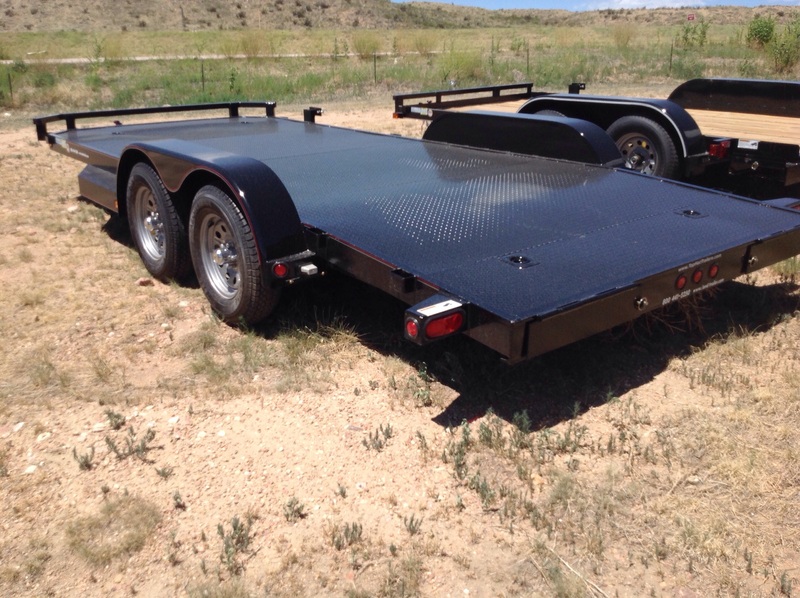 You can call us at 719.425.4564 for more details, and you can view many more pictures of the trailer here. Thanks for looking! EDIT: This trailer has been sold! Thanks for looking. A few days ago we received the above trailer as a trade-in. 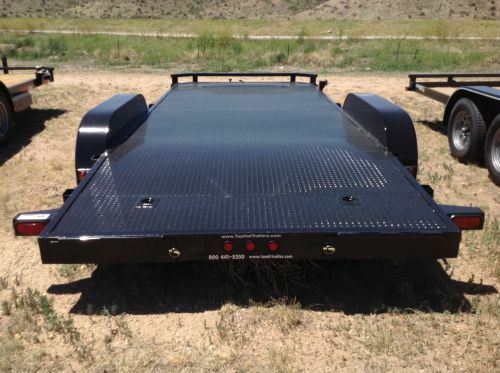 It is a very clean and well-made snowmobile/ATV trailer, or it can be used for general utility as well. Click on past the break for more. A few days ago we received the above trailer as a trade-in. 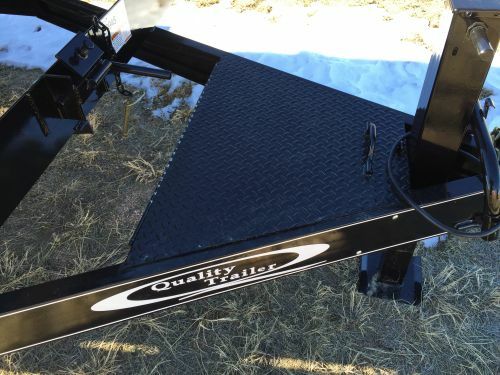 It is a very clean and well-made snowmobile/ATV trailer, or it can be used for general utility as well. 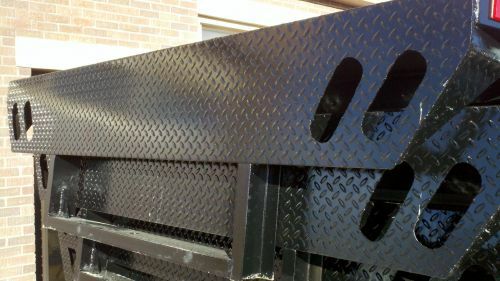 This trailer is 8ft wide and measures 10ft long to the start of the "V", and is a full 12ft long to the point of the "V". It's in great condition, and is looking for a home. You can view more pictures and read the full specs here. As always, you can also call Nathan at our Pueblo lot at 800-441-5250. Thanks for looking! Just received a load of 25 new trailers. We now have a wide variety and assortment in stock, and all are viewable online! Come on down and take a look! Just received a load of 25 new trailers. We now have a wide variety and assortment in stock, and all are viewable online. Come on down and take a look! 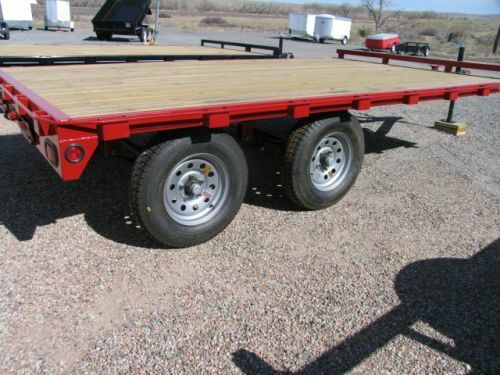 New for 2012, all of our new trailers include a spare tire and wheel as well as a welded-on spare tire mount. We also have a few new styles, like the Lil' Parker, as well as a few trailers featuring a pipe top rail as well as a square tubing top rail. Give us a call for more information, or send us an email. 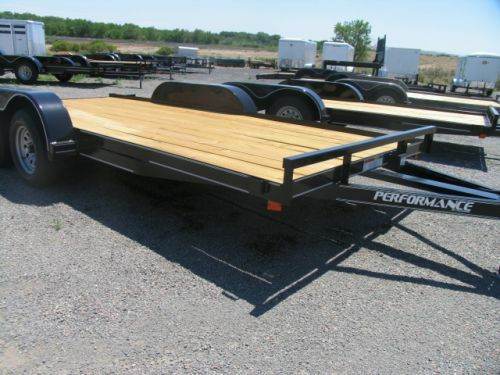 We think you'll find our 2012 trailers perfect for your needs, and priced right! We recently received our Spring order of trailers, and wanted to tell you about the Lil' Parker. It's a small trailer, measuring 54 in. by 9 ft. Although its dimensions are small, however, it can still handle a decent load. The Lil' Parker is designed for folks who don't have room for a larger trailer, or who have a smaller tow vehicle. The Lil' Parker can be pulled with virtually any vehicle that has a hitch, and can hold about 2000 lbs worth of cargo. 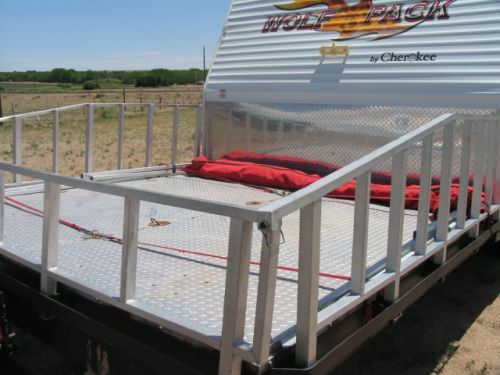 It comes complete with a 3 ft. tall ramp gate that can also lay in the bed, and includes a spare tire and a welded-on spare tire mount. Com in today and have a look! February 11, 2013 UPDATE: As of now, we only have the bucket truck remaining of the tree trimming equipment we have for sale. Thanks to all of our customers that have brought us their business! We have some tree trimming equipment for sale. All of it is in really good condition. A client of ours retired last year and is now selling his equipment. Everything is very well maintained, and the vehicles have been DOT'd. The bucket truck is a 1999 International 4700 with a DT466E diesel motor. The truck has 42,000 miles on it and the engine has 1256 hours on it. Still a ton of life left in this truck, it's just getting broke in! The lift is made by Aerial Lift of Connecticut and can go over center an additional 45 degrees. You can park the truck in one spot and take care of multiple trees with ease. Also, there are hydraulic connections in the bucket for use with hydraulic tools. The bucket can be operated from the ground or in the air. There is plenty of storage, and the truck had no leaks. The bed dumps, of course. Asking $39,000 or best offer. The dump truck is a 1983 International with a 9L diesel International motor. It has a 6 speed transmission with a High/Low rear end. It was owned and operated by the U.S. Army for most of it's life before my client purchased it. The box is a 14' dump bed with an opening on top that can be used with a loader to haul gravel, sand, dirt, etc. 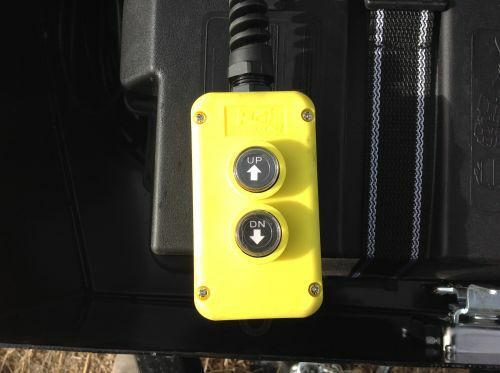 The box dumps via a electric over hydraulic hoist with a very high weight capacity. So there is no PTO to worry about.. This truck starts like it was made yesterday. Asking $7000.00 or best offer. We also have a model #1625 Rayco stump grinder with a 25HP Kohler motor. It comes complete with a trailer. The grinder itself is self-propelled and starts and works great. Asking $4,800 or best offer. Finally, we have a really nice 1998 Gravely limb grinder with a 120HP Perkins diesel motor. The grinder has 5,000 hours on it and is well maintained as well. It has a 14" capacity. There is very little it can't do. It is in excellent condition and ready to be put into service today! Asking $12,000 or best offer. Please don't hesitate to call us for more information. You are also welcome to come out here and check out the equipment yourself. Just call us at 719-546-2321 and chose the Pueblo location. We'll be happy to help! We've just received a load of brand new trailers of many of our most popular sizes just in time for spring. 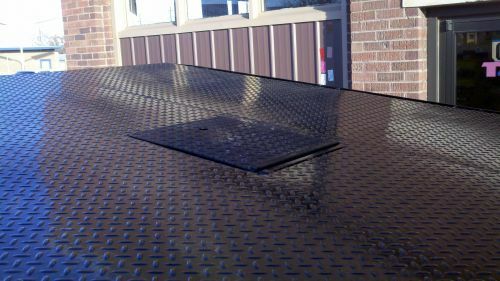 We have 4 ft X 8 ft small flatbeds all the way to 25 ft and larger goosenecks. Come in and see the great prices! We've just received a load of brand new trailers of many of our most popular sizes just in time for spring. 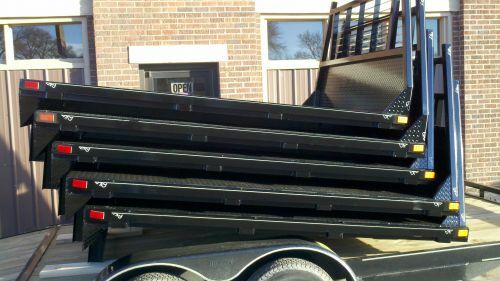 We have 4 ft X 8 ft small flatbeds all the way to 25 ft and larger goosenecks! Come in and see the great prices! There are many more to choose from, and come in and view our existing inventory from 2012. We still have a large number of trailers left and are making great deals! ]]> Mon, 11 Apr 2016 17:26:29 -0400 http://www.tandrtrailer.com/2013/08/12/lots-of-new-trailers-in-stock-from-top-hat-and-doolittle http://www.tandrtrailer.com/2013/08/12/lots-of-new-trailers-in-stock-from-top-hat-and-doolittle nathan@tandrtrailer.com (richard) richard year end sale Great deals on all 2014 trailers in stock. Come on in and see the great selection, we have over 70 trailers on the lot, come see! ]]> Testing! Tue, 27 Jan 2015 07:36:31 -0500 http://www.tandrtrailer.com/2015/01/27/testing http://www.tandrtrailer.com/2015/01/27/testing nathan@tandrtrailer.com (richard) richard We Have Your New Trailer! Come And See! 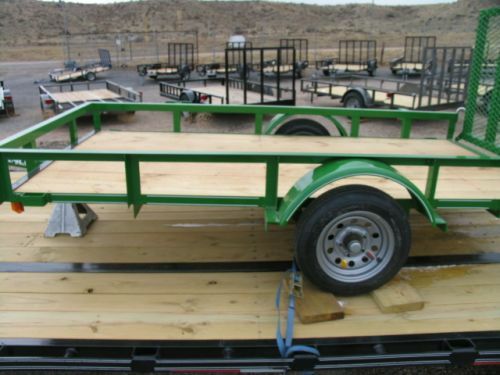 ]]> Doolittle Cargo Trailers At A Fair Price!